Lamodepreneur Networking Dinner For Fashion Entrepreneurs! In today’s fast growing business world networking is vital to building your brand, and expanding your market. There’s a lot of competition out there, and it is important for business owners to make new contacts, build new partnerships, and increase that the bottom line. Hence, the Lamodepreneur Networking Dinner. Successful entrepreneurs know that the essence of their business is found in making the right connections. Networking events offer many benefits for the savvy entrepreneur. A networking event allows you to make new connections with others in your industry, share knowledge and experience, and create new opportunities that will benefit both your business as well as the businesses with whom you partner. Business Networking is a really valuable way to expand your knowledge, learn from the success of others, attain new clients and tell others about your business. At Lamodepreneur we highly recommend business networking as a way to gain new clients and to build a sustainable business. 6. Meeting with fellow entrepreneurs to share ideas, expand your business network, find not only business partners, but also friends and like-minded people. 7. Get inspired. Being surrounded all day long by other ambitious people can be very inspiring. Networking events are the best place to be if you are starting to feel the burnout of being an entrepreneur. It can be the ultimate place to find inspiration and rediscover your startup passion. 8. Have fun. It is important to have fun with everything that you do. Networking events are real fun. 9. Find a mentor. Having a mentor is important for every entrepreneur, but connecting with the right person for it can be very difficult task. Networking events are the place to look for if you are searching for the right mentor for yourself, so be ready! 10. Learn lessons. Entrepreneurship is an endless journey of gaining new knowledge. Learning different things on daily basis is essential part of being on the top of your entrepreneurial game. When you network with fellow entrepreneurs, you are able to learn not only valuable information about the business world, but also to learn from their stories and the personal experiences they share. You are able to learn from every conversation, which is big enough reason to want to network. 11. Get motivated. Motivation is the fuel that keeps most entrepreneurs going through the hardest times. Being surrounded by other ambitious people, who share the same passion, is a wonderful way to feel once again motivated to be the best version of you as an entrepreneur. 12. Become a part of a community. Being part of a community has many benefits, but being part of the international entrepreneurial community is not only useful, but also very exciting and interesting. 13. Get more visibility and recognition. There is no need to mention how important is for all startup owners to make their companies well-recognized from the investors, customers and business partners. Venue: Maison Fahrenheit 80 Adetokunbo Ademola Street, Opposite Eko Hotel, Victoria Island, Lagos. Hi there friends, how is the whole thing, and what you desire to say on the topic of this post, in my view its in fact awesome for me. 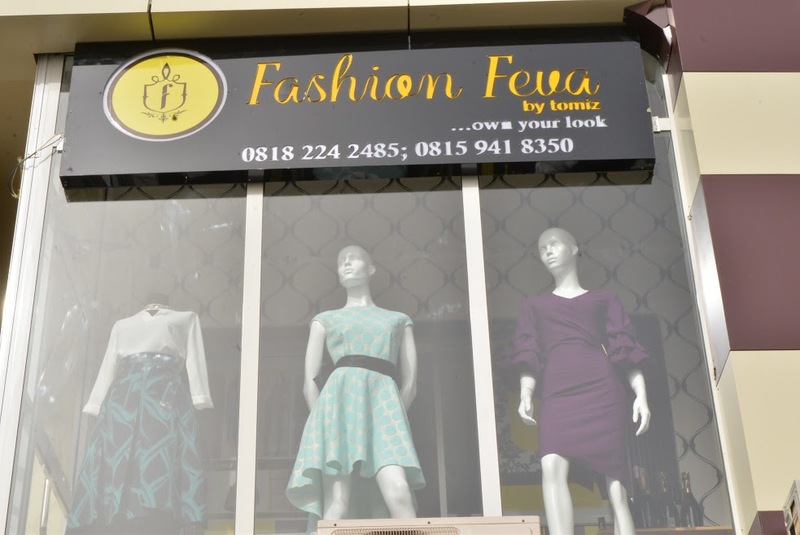 Photos: Grand Opening of Fashion Feva by Tomiz! 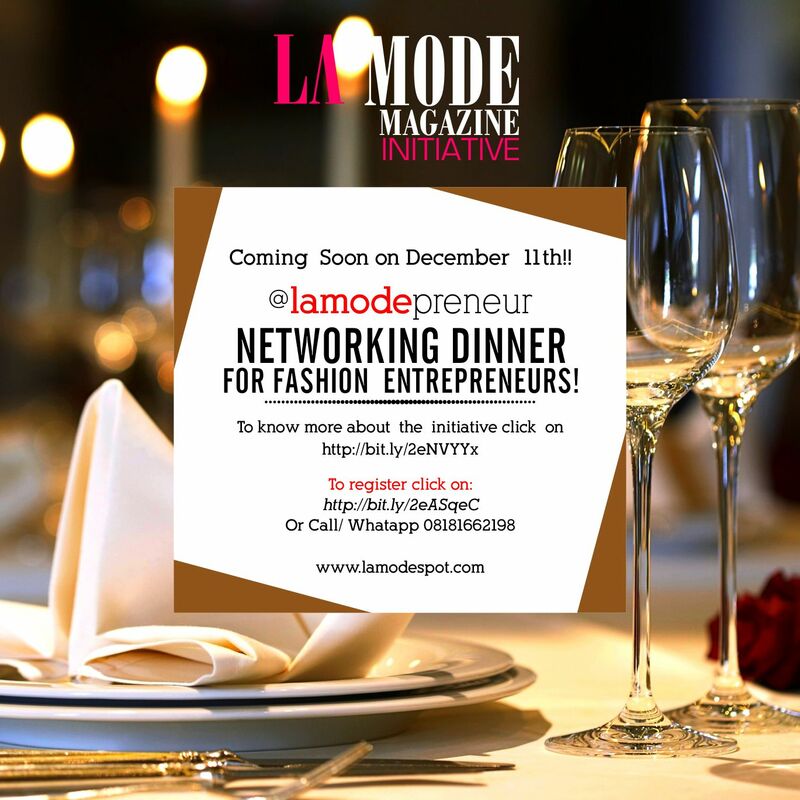 La Mode Magazine an award winning magazine is founded by Mrs. Sandra Odige, a Nigeria based monthly publication established in 2011. A digital and print publication known for its innovative and creative initiatives and style of publishing. We have published over 20 editions with top notable personalities and celebrities of all works of life. La Mode Magazine is committed to cover the fashion, lifestle and entertainment in Nigeria objectively and responsibly. Copyright ©2017 La Mode Magazine, All Rights Reserved. Designed by Pway Hosting.